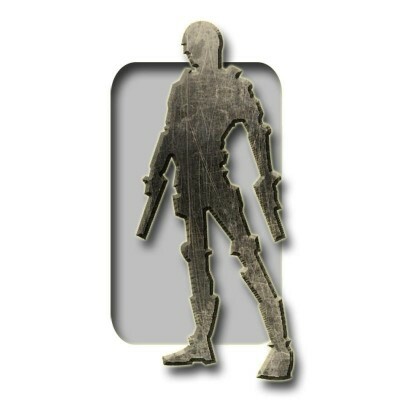 Epsilon is operative again!!! 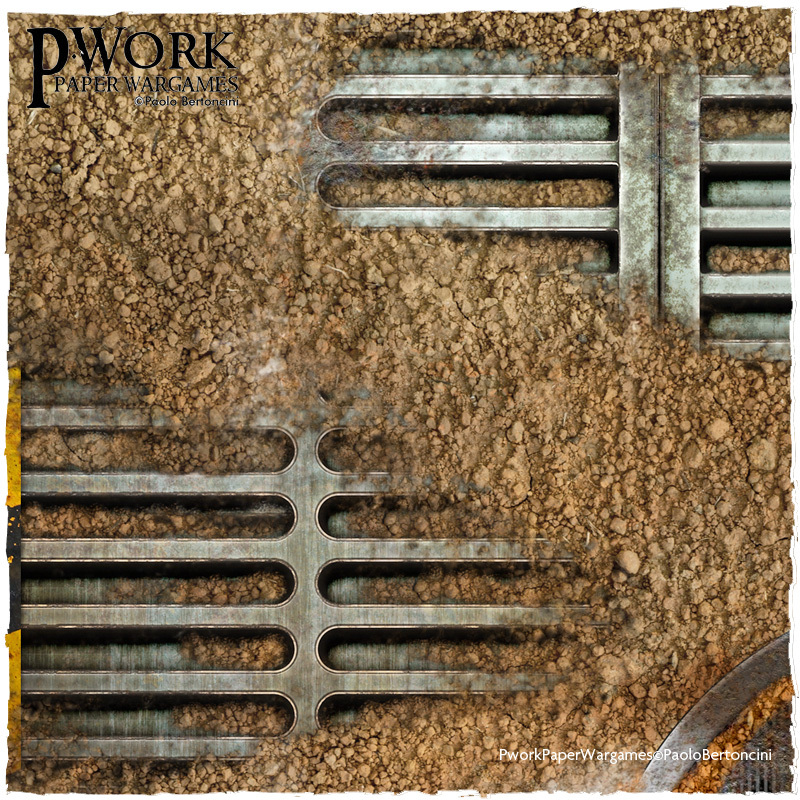 We have returned to work… and we have the first new releases!!!! 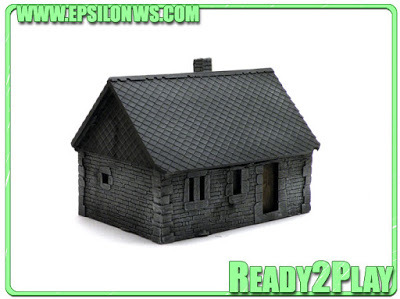 Is available a Ardenas House in the epsilon web. 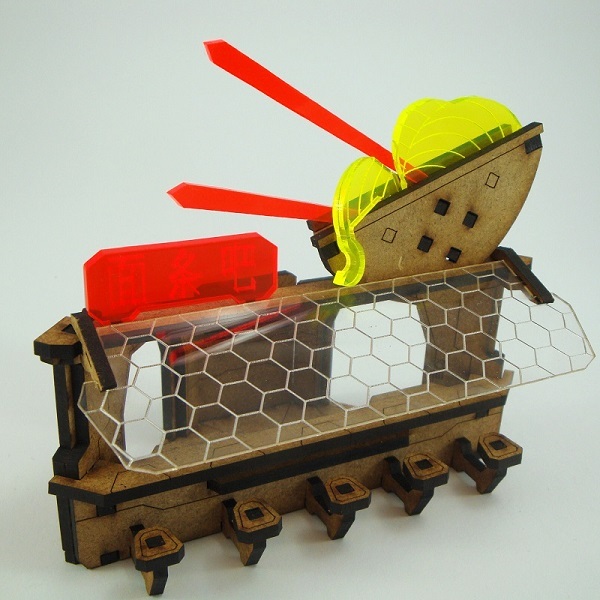 The piece is perfect for FOW battles because is 15mm. The prize is €15 and we send you the item painted and Ready to play!!! The item is created by Carlos Elias and Painted for Óscar Sánchez. This is the second reference sculpted by Carlos for epsilon. 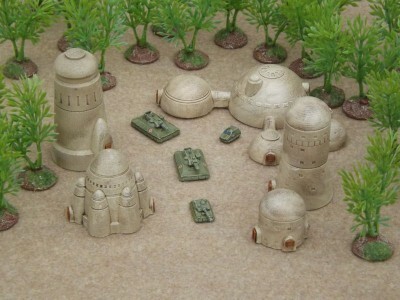 Our range of Desert SF buildings grows further today with several additions to our range of 6mm Desert Domes. Strictly speaking, only one of these really is a dome, but they follow the curved and rounded styles of the previous set. 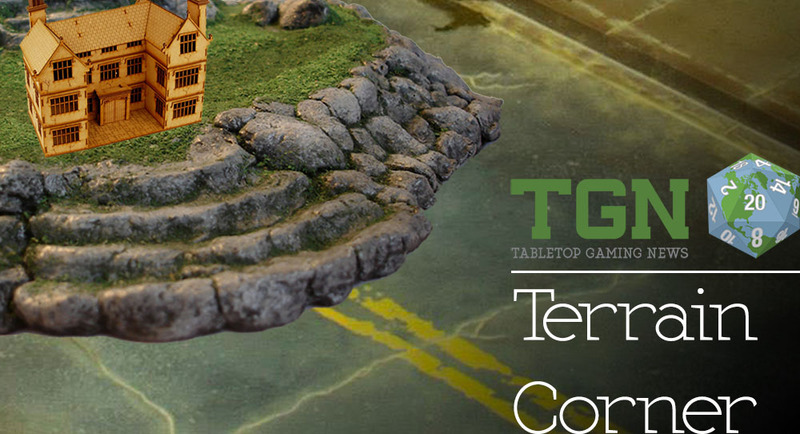 Coming to Kickstarter on 18th September, Battle Systems new terrain genre. Set in a post apocalypse modern urban setting you can build large set ups with towering city blocks or ruined buildings. As always this is fully modular, so overtime you build you can have a different layout. Just like our last two Kickstarters we are looking to create new add-ons that work well within the genre and so will again be developing these while the campaign is running based on feedback from our backers. 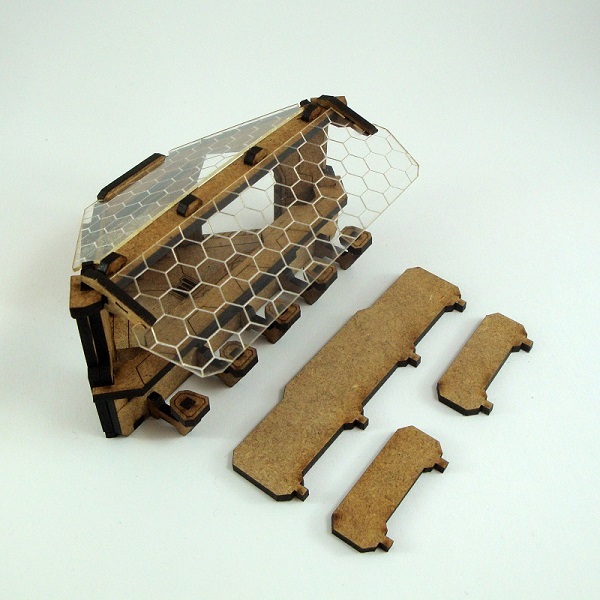 Its a crazy way to approach a Kickstarter, but really enjoyable. 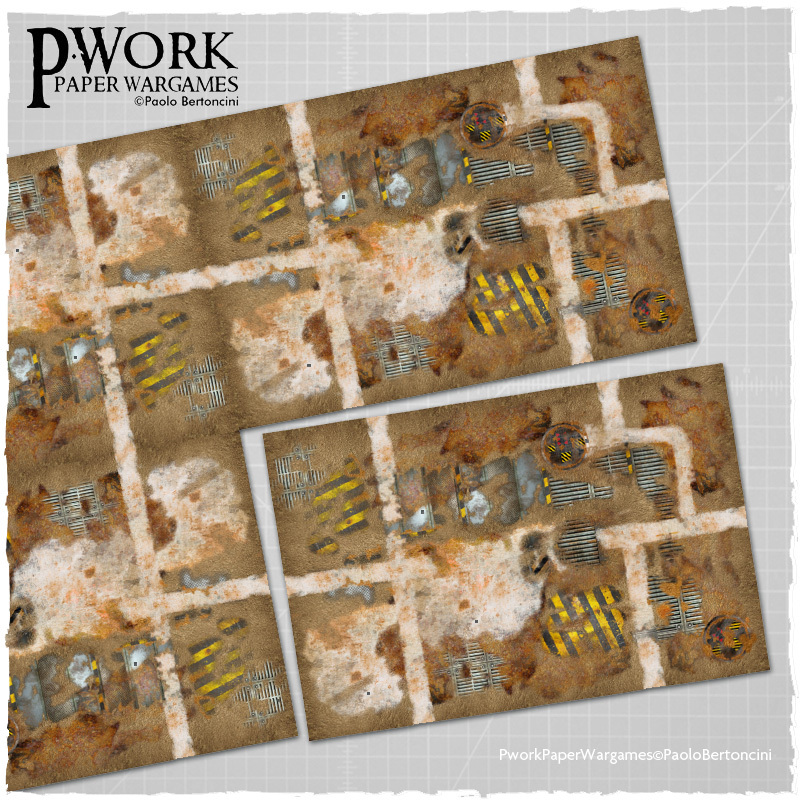 The Wargame Mat Industrial Ruins is a PVC-made rollable terrain mat, ideal for wargame and RPG, in size 120x180cm/120x120cm/90x90cm or full 4x6'/full 4x4'/ full 3x3', representing the scenery a desolate industrial area, now in ruins. 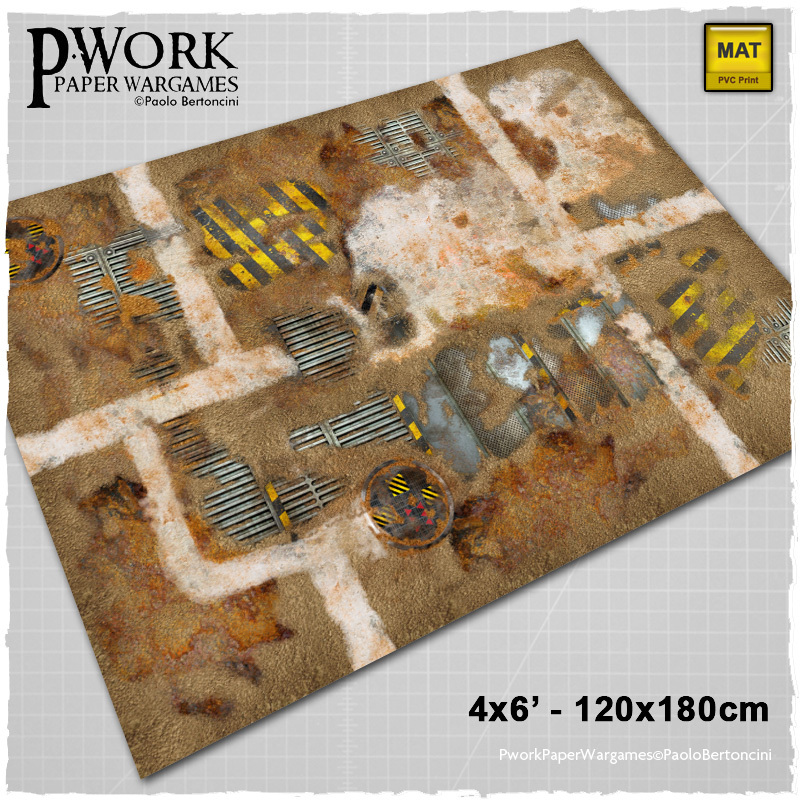 This Wargame Mat offers the possibility of setting battles between armies of miniatures among large industrial plants and the ruins of abandoned structures and containers. 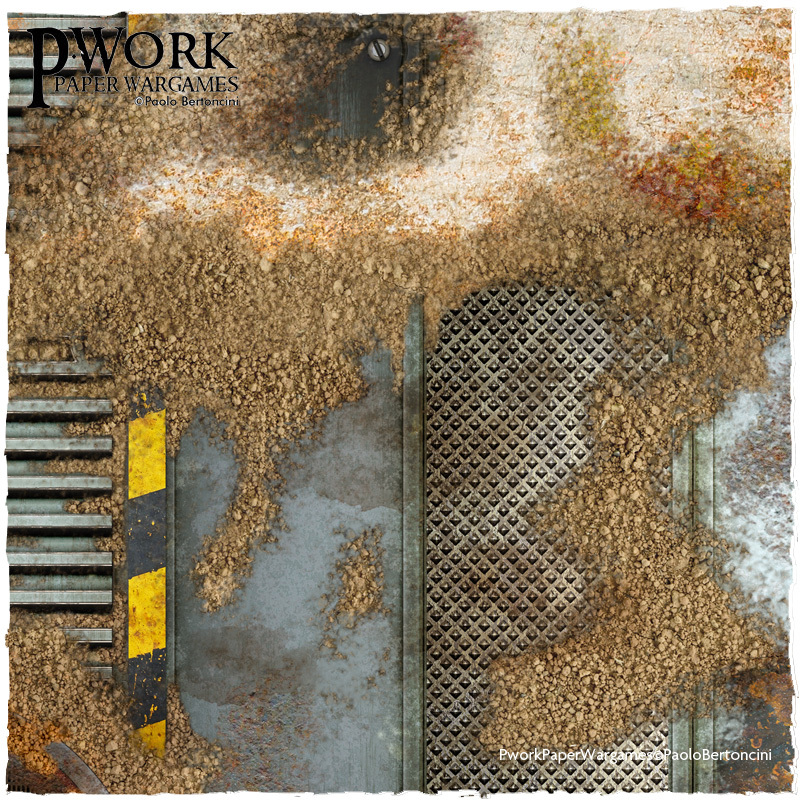 This gaming table in sizes 120x180cm or 4x6' has the important feature of being able to be flanked by other Battleboards Industrial Ruins to build a huge table, with graphics that continues matching the Battleboards one another: put two Battleboards next to each other and you will discover the great plus of Industrial Ruins, you will have one big gaming table with an homogeneous and uninterrupted playing surface. Do you want to play a titanic battle on 4 Battleboards? Just match 4 Battleboards Industrial Ruins! Contents: A small cluster of farm buildings, surrounded by snow covered fields, farmland and dirt tracks. A small bridge crosses a stream. In one version the landscape is covered with snow, the other depicts the summer with crop-filled fields. 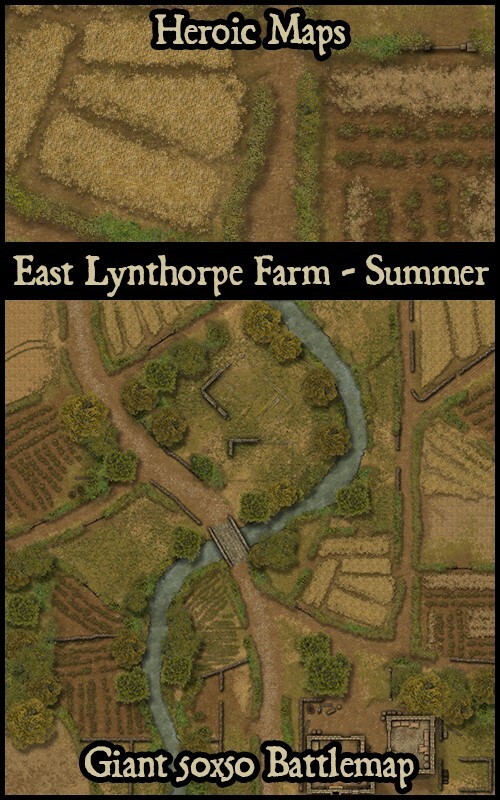 The maps are available separately, or can be purchased as a bundle. Any SciFi city need neon shiny streets shops, and noodle shops above all. Terrakami Sci Fi street shop comes with 2 different assembly options, open or fully closed with MDF doors and cardboard shutter. 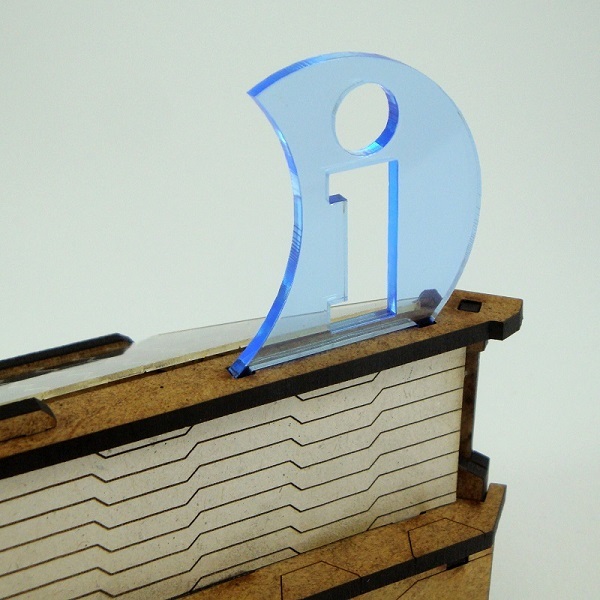 it also includes 1mm clear acrylic roofs and a basic set of MDF billboards, with the option to upgrade to Info Point or Noodles Bar holo ads. 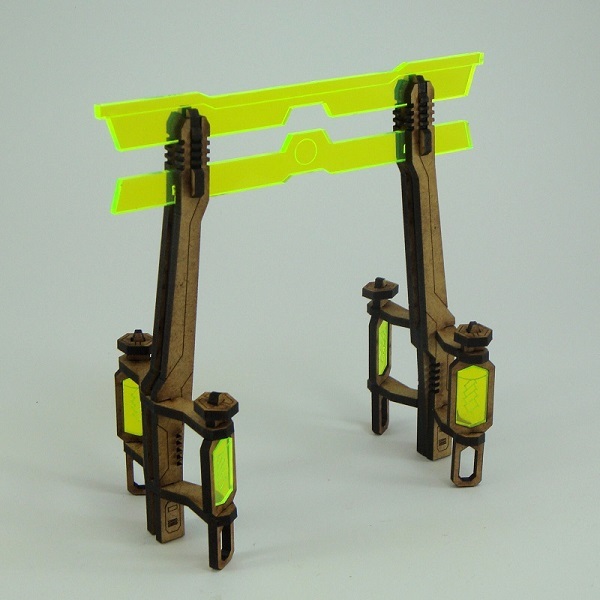 The Holo Torii also comes with options for the supporting columns, to be assembled with or without acrylic pieces. And, as ussual, available in 5 colors.